It was the first major story I wrote for the Northern Standard when I began covering the Carrickmacross area on a temporary basis a year ago. The news came out of the blue, creating shockwaves in Carrick that are still being felt. 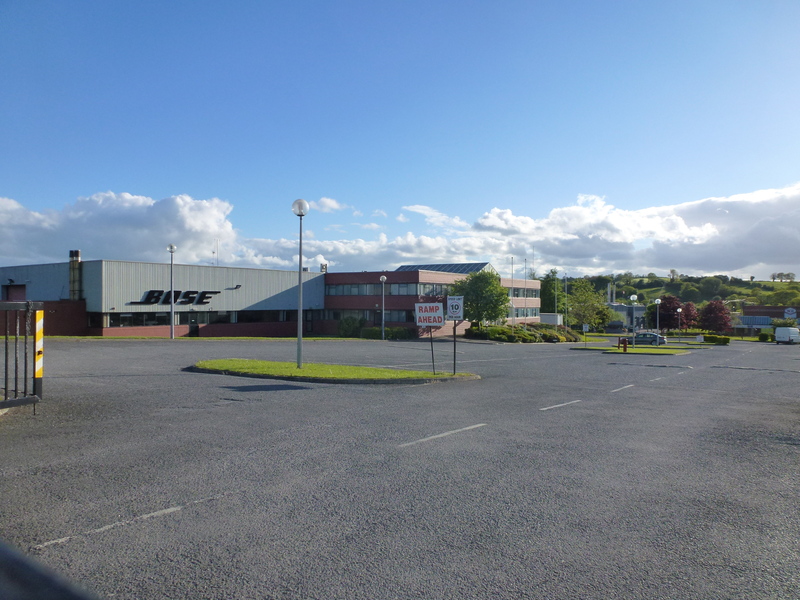 In a statement of 290 words issued by a public relations company in Dublin, Bose Ltd. announced it was closing its County Monaghan facility with the loss of 140 jobs. It was probably just a coincidence that the news was released on a Thursday afternoon, the day on which this weekly newspaper is published. So the coverage had to wait until the following week. But this was a decision that had been taken some time beforehand at the company’s headquarters in the United States, where a plant in South Carolina was also being shut down. What offended the workers most was the way the news was relayed to them. They were called into the canteen at 4pm that black Thursday (22nd January 2015) and by video link were addressed by the company President. They thought it was going to be part of the usual quarterly update on company performance. Instead they were being told they would be made redundant in April. 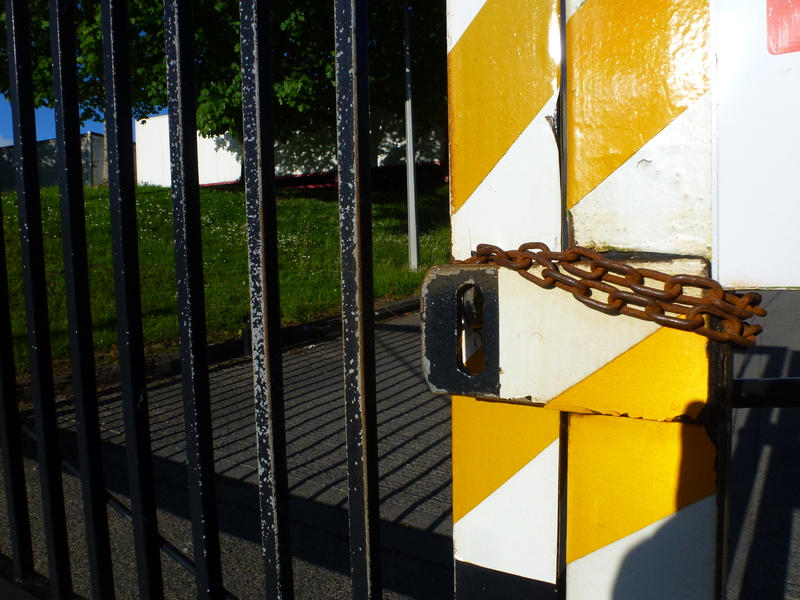 After lobbying by union representatives and local politicians, the date for the shutdown was postponed until the end of May, in the hope that some workers might be able to find alternative employment. Some like Pat McNally had been with the company since it was established by Dr Amar Bose in July 1978. The plant provided final assembly for select home cinema systems and Wave radios for the European market, and some remanufacturing for the region. Councillors pressed the IDA to find an alternative employer but so far no replacement has been found, although some clients have viewed the premises. In the aftermath of the closure it was discovered that the factory premises was now owned by a private group, following new arrangements regarding IDA leases. The last day at Bose (May 29th) was sad for all concerned. The workers came in small groups to collect their redundancy payments. 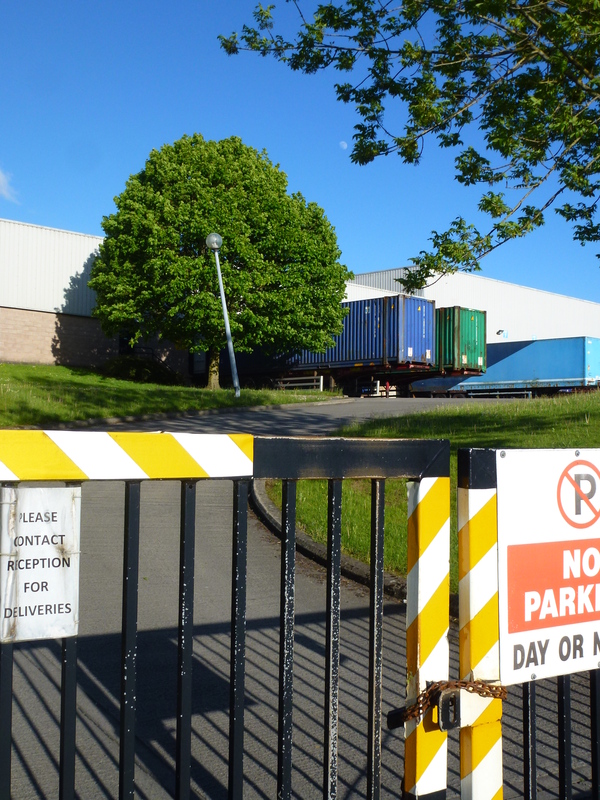 The car park gates were locked and a few days later, the plant and machinery inside the building were put up for auction, bringing to an end a 37-year history of production at the site. 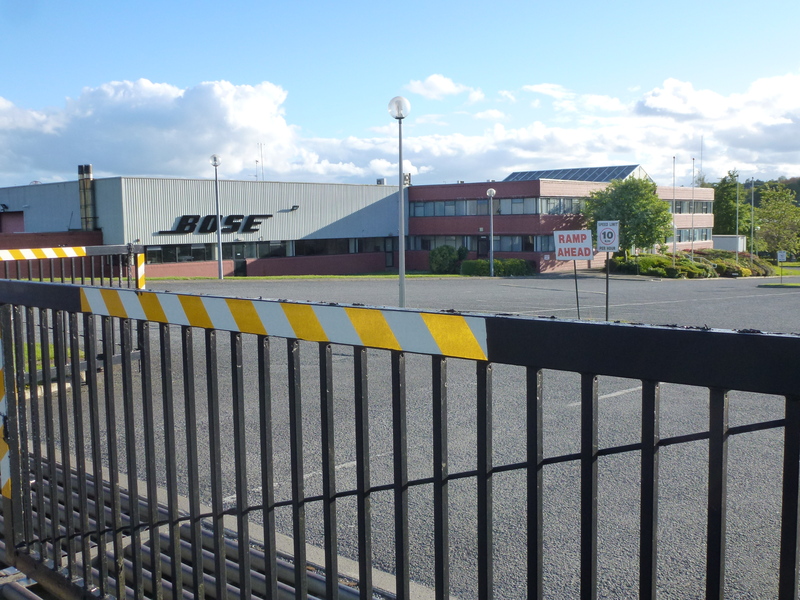 As they left the plant, the workers again pointed out that this had been a profitable operation for Bose, and their Irish base in Europe had never been affected by industrial disputes. They said they had always shown their loyalty to the company and had generally been treated well by their employer, until the founder of the company Dr Amar Bose had died two years ago. 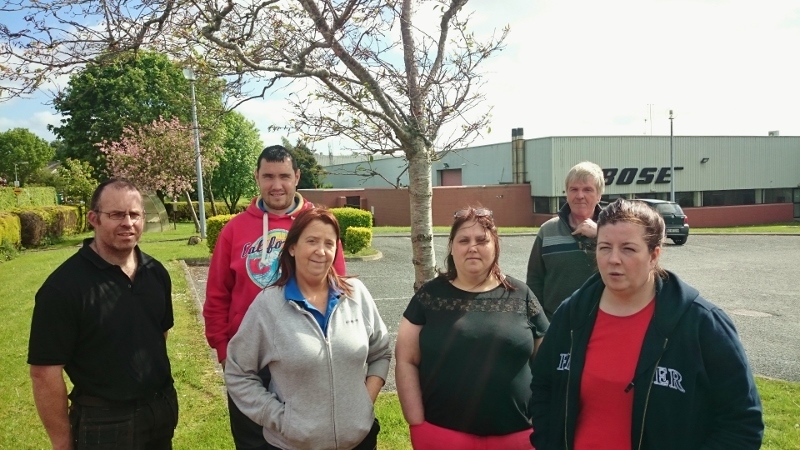 In the words of the Carrickmacross-based Sinn Féin MEP Matt Carthy, the closure of the plant was devastating for the local economy and community who felt they had been let down by the government. It was the end of an era and a huge blow forthe whole of South Monaghan and beyond. In April an art student from County Monaghan won the overall prize in the Texaco Children’s Art competition. A great achievement by my neighbour, Frances Treanor from Drumdart, Tydavnet. The 18 year-old was rewarded with a trip to Tokyo to represent Ireland in an international art exhibition, along with a cheque for €1500. Her self-portrait drawing done in black ballpoint pen was part of the 16th International High School Arts Festival along with some other Texaco award winners. Back at her home in Tydavnet she told me about her experiences in Japan, a country she said she would return to if she got a chance. Her five days there introduced her to Japanese food such as tempura (fish and rice) for which chopsticks were used. She was served dishes of sushi and sukiakki and also got time to do some sightseeing. This included areas such as Harajuku, the Meiji shrine and Takeshita-dori street. Frances also visited a rural area a few hours outside Tokyo and saw a red panda being fed in the zoo. She noticed that the streets were very clean, as well as being busy and hectic. Everyone was carrying an umbrella, Frances told me, and there were special holders at the entrance to the museum where visitors could leave them. The winning self portrait was completed by her in two weeks and was described by the chair of the judging panel, Professor Declan McGonagle, as having been executed “with the skill and delicacy of a master”. The talented Frances had featured among the prizewinners in 2012 when she won second place in her age category for her work “Lighting Up the Imagination”. She is one of seven children and is studying art at the National College of Art and Design in Dublin, alongside her twin sister Maeve. Frances was keen to thank her former art teachers at St Louis Secondary School in Monaghan, Teresa Mahony and Stephen Penders, who she said had always encouraged and developed her talent. EirGrid has begun a fresh attempt to get permission for a second North/South electricity interconnector. It would involve the erection of over 400 pylons carrying a 400 kV high voltage cable across five counties from Meath to Tyrone, including Monaghan. There has been strong opposition to the plan, with over 900 submissions to An Bord Pleanála since the new planning application was submitted in June. The Board is expected to make a decision later this year on whether to hold another public enquiry into the plan. More details of the EirGrid response to the submissions and objections can be found on p.14 and the Northern Standard will continue to report on this controversial issue in the coming months. There was a steady stream of visitors to the former Bose factory in Carrickmacross last Thursday 11th and Friday 12th June. Among them were a number of local business people, checking out the plant and machinery that had been put up for sale by the US-based company. 140 workers were made redundant at the start of June, following the sudden announcement in January that the factory would be closing. 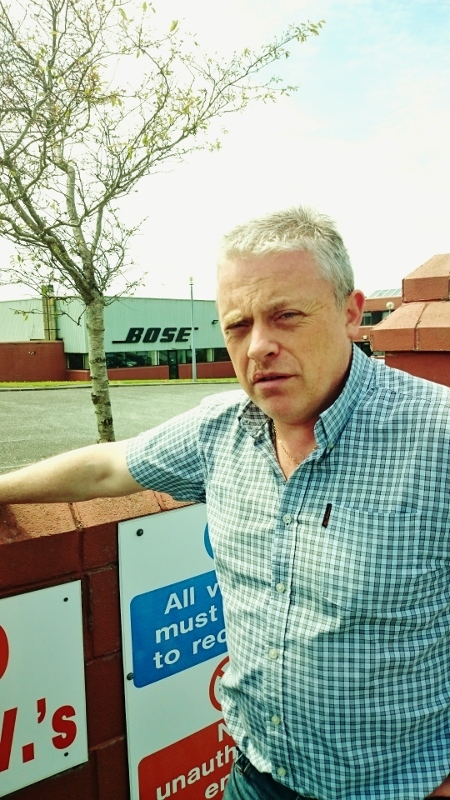 For a number of them, Bose had been their only employer and the company had always looked after them since it set up a European base in County Monaghan in 1978. The company had been founded by a sound engineer and entrepreneur, Dr Amar Bose in 1964 in Natick, Massachusetts. It developed a revolutionary 901 speaker system. Its acoustic wave system was introduced in 1984. One of the reasons the company came to Carrickmacross was because of the local expertise in furniture making. There was a skilled workforce which made cabinets for the sound systems. Former Bose workers say the plant continued to be profitable and that staff had fulfilled their targets and had undertaken any necessary work practices to ensure that orders were met. There was never an industrial dispute at the factory. Now some are too old to find another job. But there could be some hope for others. 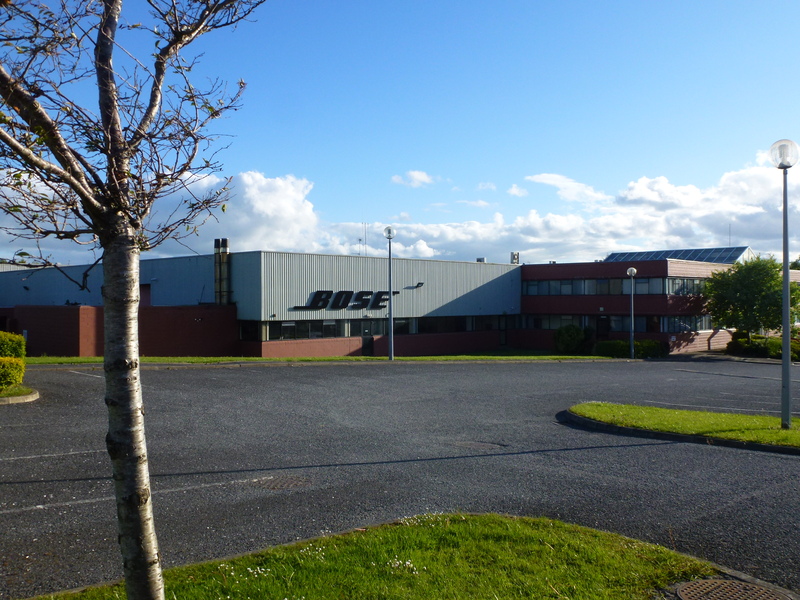 According to Padraig McEneaney CEO of Celtic Pure Ltd in Corcreagh, near Carrickmacross, five former Bose workers have been taken on at their bottled water plant. 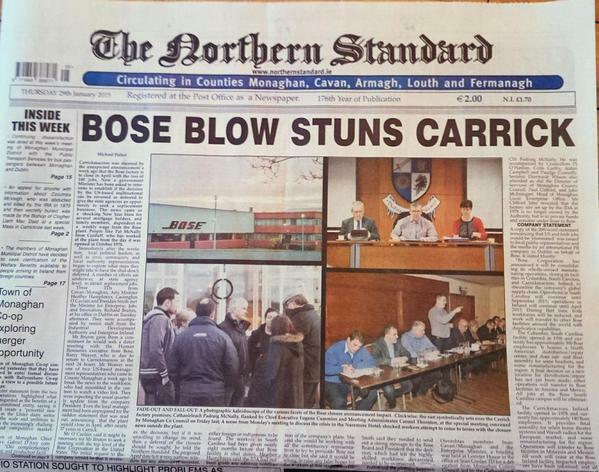 After inspecting the inside of the Bose premises, Mr McEneaney said the plant had been very well maintained. He put bids on a number of items, which had to be in by midday on Friday. Then the tenders were opened on Tuesday, to see which was the highest bid. 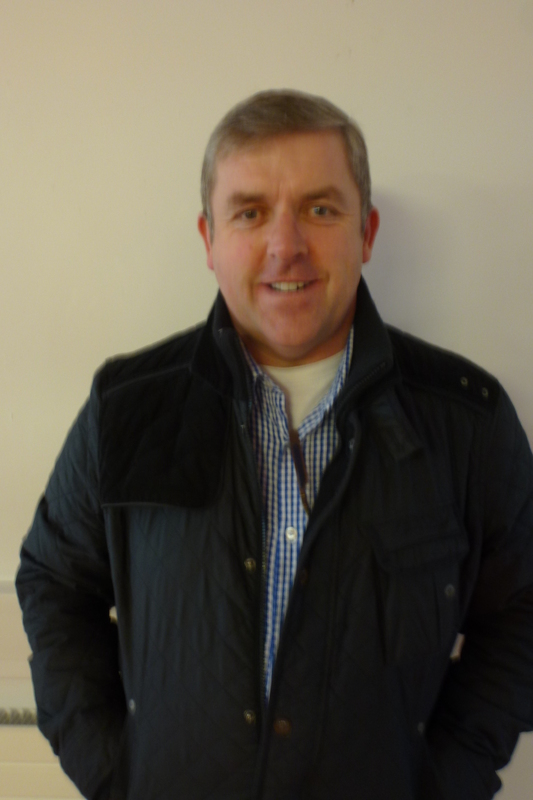 Over 1000 lots were listed in the catalogue and the sale was conducted by McKay Auctioneers from Dublin. Mr McEneaney said this was a slightly unusual way of doing business and he would await the outcome of the tendering process. The businessman said he hoped a replacement business would be found over the next twelve months. 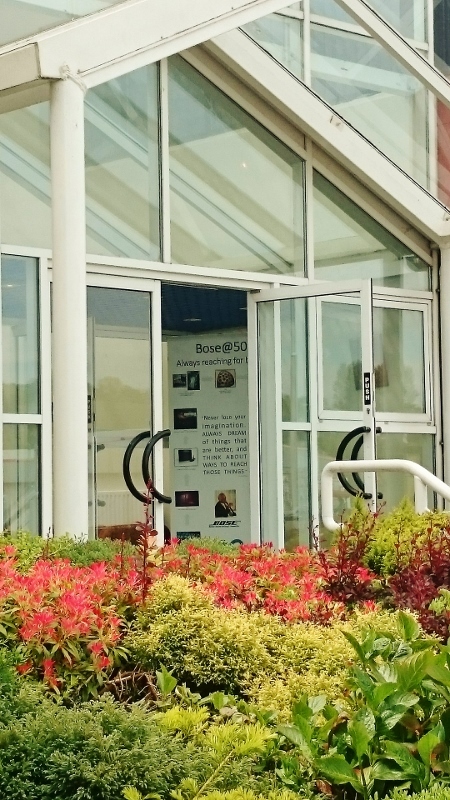 Although Carrick was a thriving town, Bose would be sadly missed. There would be a knock-on effect for several contractors such as couriers and suppliers. He pointed out that there were some top quality and highly skilled staff from Bose and he hoped they would find new employment. 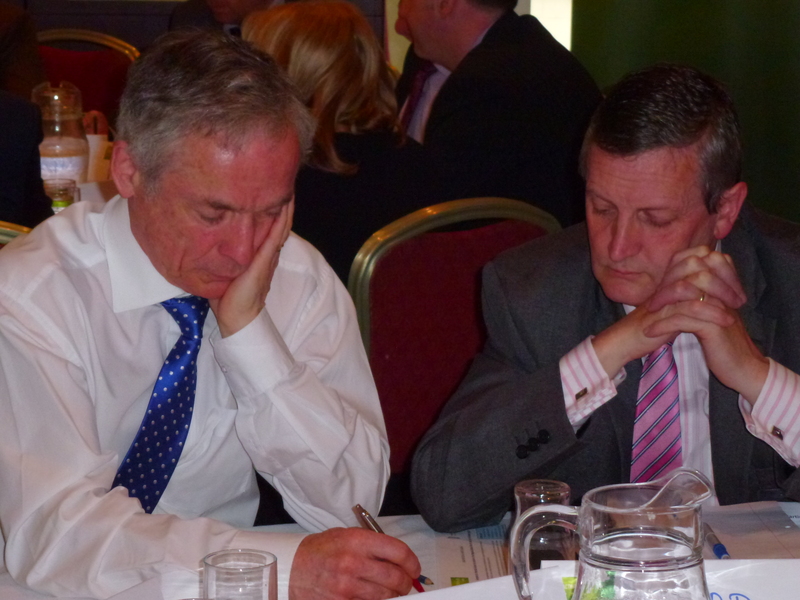 Mr McEneaney also stressed the advantages Carrickmacross had as a place to locate a business. It was only one hour from Dublin and close to the motorway and the airport. Paddy Gollogly, a founder member of Carrickmacross Lions Club, was another visitor to the Bose auction. He said the company had been good for Carrickmacross and had sponsored the Lions’ annual charity cycle run in the early years. Their withdrawal would leave a big loss for charities in the area. He recalled the major contribution the Bose social club had made to groups such as Carrick Cancer, and it was going to be hard to raise money without a similar large group of volunteers to help them. He thanked the workers for their fundraising efforts over the past 37 years. Kevin Gartlan of Carrickmacross Workhouse wanted to find out if there were any heritage items that were worth preserving. He hoped that a few items of local interest would be preserved. He also hoped that local small businesses would be successful in their tenders for machinery and other items as it was necessary to keep as many jobs as possible locally. 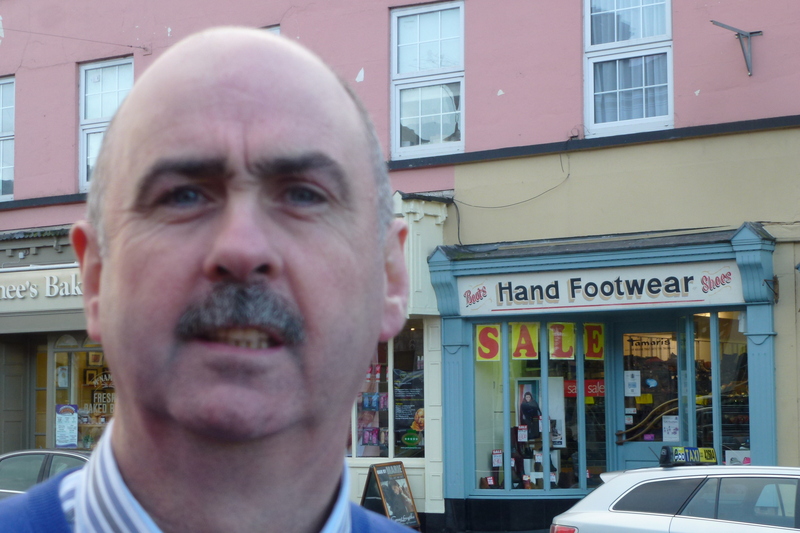 Jim Hand, President of Carrickmacross Chamber of Commerce, said he hoped the IDA and Enterprise Ireland would be successful over the next year in attracting a new company to take over the lease on the factory. It was still a state of the art building. 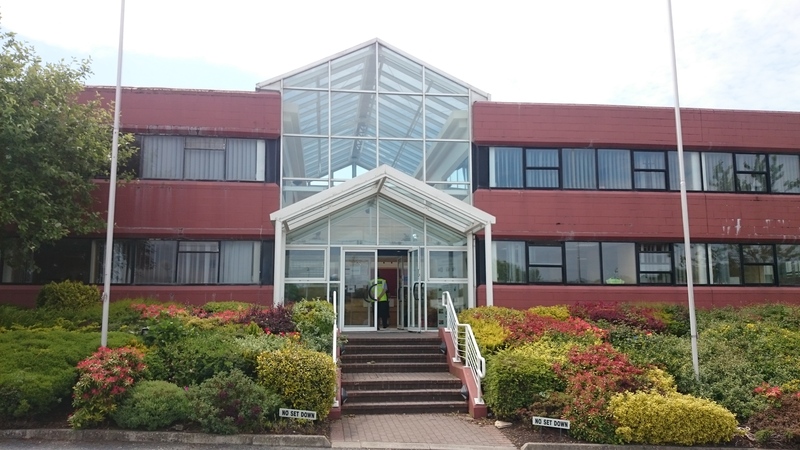 There was a broadband connection and a good infrastructure, with Carrick close enough to Dublin for any investor. 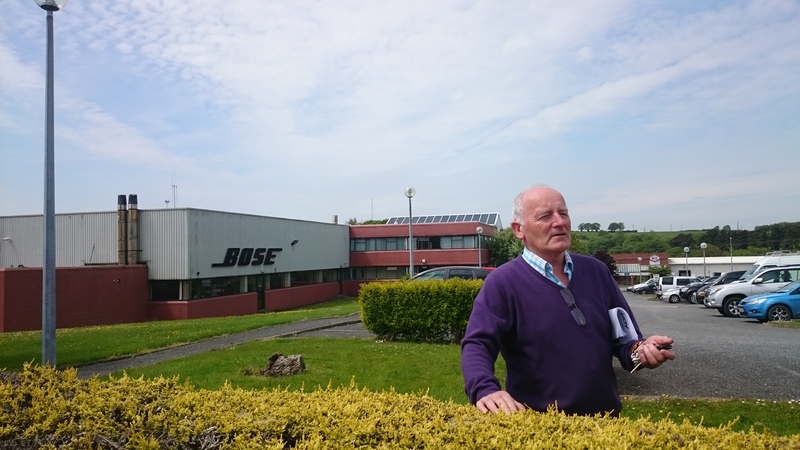 He also thanked the loyal Bose workforce for their service and their commitment and the contribution they had made to Carrickmacross for nearly forty years. He hoped the staff would get fixed up elsewhere. They came in small groups to collect their redundancy payments. 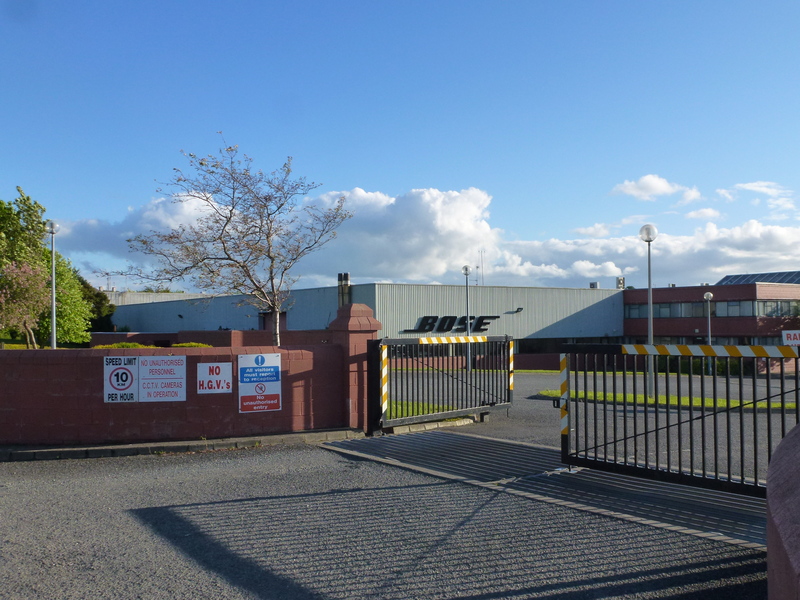 Over the course of several hours last Friday, 140 workers left the Bose plant in Carrickmacross, having clocked out on Thursday for the last time. 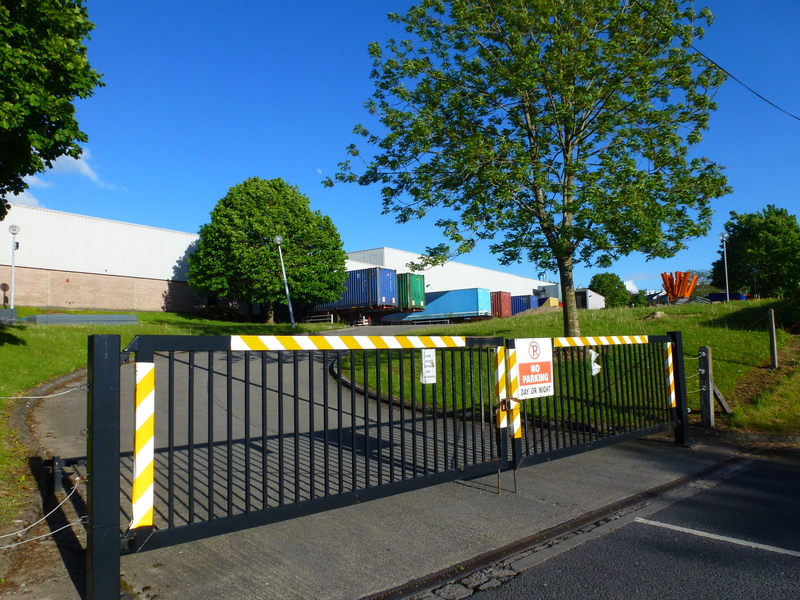 The car park gates are locked and over the next week, preparations will be made by a Dublin company to auction the plant and machinery inside the building. Viewing begins next Thursday and the public auction will be on Friday 12th June, the final chapter in a 37-year history of production at the site. 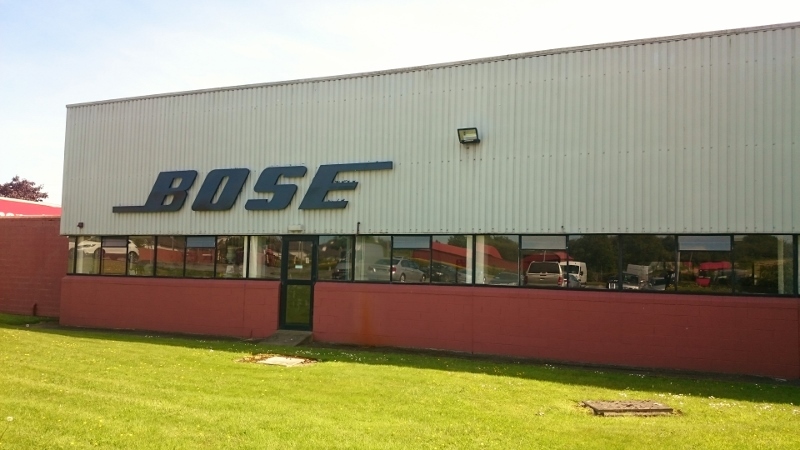 As they left the plant, the workers again pointed out that this had been a profitable operation for Bose, manufacturing high quality sound systems, and their Irish base in Europe had never been affected by industrial disputes. They said they had always shown their loyalty to the company and had generally been treated well by their employer, until the founder of the company Dr Amar Bose had died two years ago. 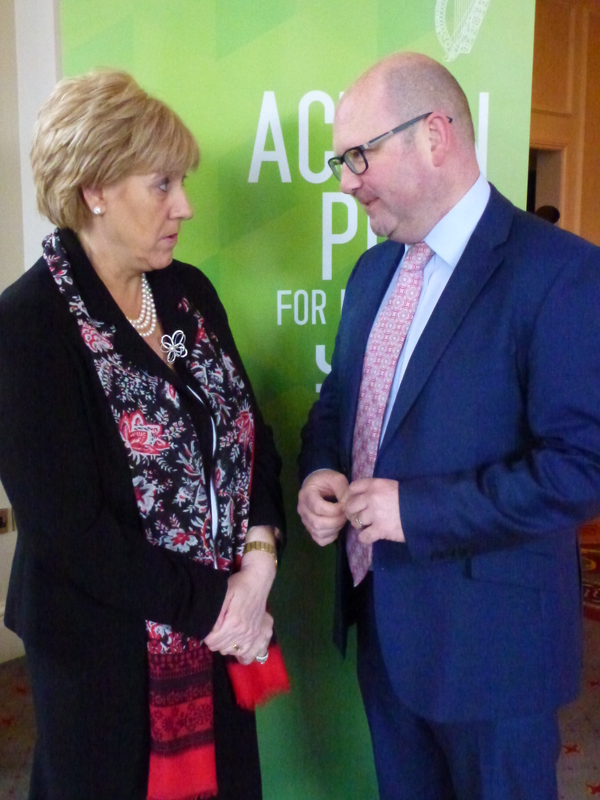 Minister for Arts, Heritage and the Gaeltacht Heather Humphreys T.D. said she had been in contact with Jobs Minister Richard Bruton on a regular basis, most recently this week regarding the search for an alternative investor for the Bose facility. She said she had been informed that the Industrial Development Authority (responsible for attracting foreign direct investment to Ireland) was continuing to seek an alternative use for the Bose building and was highlighting the strengths of the border region as a location for inward investment. 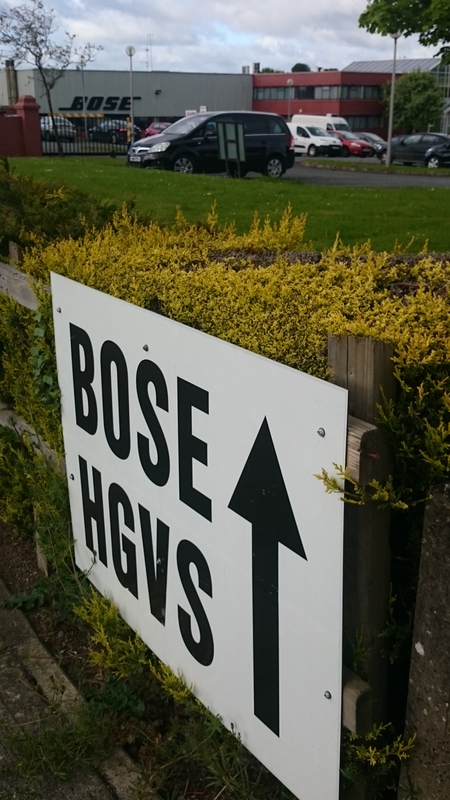 Businesses in Carrickmacross are expecting to feel the impact of the Bose closure over the summer. Some of them have been speaking to the Northern Standard about the effect of the job losses. The loss of Bose will be a big blow to Carrick. The company employed many people since they left school. The weekly wages total of up to approximately €120,000 would now be lost to the town and surrounding area. This will take a lot out of the town and will have ongoing consequences. My uncle provided a courier service for Bose but has now retired. I have a van that was also used for courier work and it is now lying idle for most of the week. I hope a new business can be found for the Bose site in the next few weeks. It’s the end of the line for production at the Bose factory. It brought great expectations to Carrickmacross when it opened in 1978. The plant provided final assembly for select home theatre systems and radios for the European market, as well as some remanufacturing for the region. It was chosen by the US company because of the local expertise in furniture making. Bose developed wooden cabinets for their high-fidelity speakers and these were sourced in County Monaghan. Today at 4.30pm the machines will be silent and 140 workers will clock off for the last time. People like Pat McNally, who was there on Day 1 and spent his working life there. They were good employers to work for, Pat McNally told me. You worked hard and you certainly earned your money. The US-based company and helped local people and they would miss Bose. The closure decision was announced without warning in January and was originally to take effect at the beginning of April. But following intervention by union representatives along with government Ministers, the closure was postponed for several weeks to allow time for talks on redundancy terms. Pat McNally said it would take a few weeks for the effects to hit home. It meant that 140 wages were no longer going into the local economy. It would also have a knock-on effect on suppliers and the likes of couriers who had benefited from contracts with Bose. Five of his six family worked here: four daughters and one son, and his wife spent fifteen years in a job there. He felt there was a great family atmosphere in the factory, where he worked in the receiving goods section. As it was a ‘closed shop’ in those days, he joined the union just before he started (then the ITGWU, now SIPTU) and has been a member ever since. He says it has been a pleasure working in the place, with everyone looking after everyone else. Pat has been one of the main fundraisers for charity helping to raise IR£75,000 for the Childrens Hospital in Crumlin and then taking part in activities to help the Friends of Carrick Cancer. The Bose factory with the help of very supportive management raised over €1.2 million so far for this charity, a great achievement. Aidan McMahon from Inniskeen was among nine married couples working for Bose. His wife Sandra who is in quality control was there for 25 years and he was there for 16 years. The couple are in their 40s and have three children to support, two young boys aged three and five, and a fourteen year-old daughter. Aidan told me Sandra had been successful in obtaining alternative employment in Dundalk, one of only 20 former Bose employees to have found a new job. He also told me that any hope of obtaining assistance for retraining from the EU globalisation fund, as had been suggested by at least one MEP, had now faded as it applied only to companied with over 500 workers. The SIPTU representative Jim McVeigh visited the plant on Monday to reveal the bad news. There was further disappointment for workers when they discovered that if they were successful in obtaining places on higher education courses, their social welfare stamps would be used up, although they had originally been informed that this would not be the case. This arose from a measure in the last budget. Aidan McGarrell from Magheracloone is 31 and was a Bose employee for eleven years. A married man, he has four children between the ages of three and ten. A very young family to provide for and a mortgage to pay. He was a lead machinist at the plant and joined the US-based company after spending some time working on cars. He described Bose as very good employers and said everyone enjoyed working for them. He thought he had a job almost for life when he started work at the plant. Jennifer Cassidy from Corcuillog in Carrickmacross joined the factory after leaving the St Louis Convent in the town. She was with Bose for 27 years, working initially on the factory floor and then in the training department. She has three children, a 14 year-old boy who attends a local school, a daughter aged 22 and another son aged 25. Over the years Bose has provided employment for her brothers and sisters, cousins and other relatives. She was annoyed at the way the announcement was handled in January and since then there had been a lot of broken promises about a possible replacement industry. Mai McCarthy from Carrickmacross was a line operator at Bose for over 12 years. Previously she had worked at Lissadell towels outside the town (now Wrights). She finds it hard to believe that this is her last day. She always felt Bose was a great company to work for and she had enjoyed going in to her daily work. She has three children, a daughter and two sons, all in their 20s and living in Australia because there were no jobs for them in Ireland. She might have to consider emigration herself, if things do not work out. Fánchea Keenan comes from Lisdoonan. She started on the production line in Bose 25 years ago in October 1989 and was a cell leader. She is married with two grown-up children. A daughter Emma who had cystic fibrosis died in 2011. She says there was always a massive pride in working for Bose. When her daughter was ill she says the company had been very accommodating and the workers had helped to raise money for a CF charity. Fánchea said the founder of the company Dr Amar Bose had been very loyal to the workers in Carrick and had great respect for them. The team had produced very high quality goods. When they signed on for the firm they never envisaged they would have to look for work elsewhere. Fánchea told me the Irish plant was being closed even though it was always a profitable operation. The very committed workforce had reached all their targets and even to the end had carried out everything asked of them, she said. But greed had got the better of the US-based management as the company wanted to make more profits. She said the Carrickmacross team had pulled out all the stops whether working overtime when asked to do so or during holiday times. Their orders were always delivered on time. But the management had not taken into account the loyalty of the workforce when it decided to shift production to the Far East. All the workers expressed their annoyance that although they had been promised several things by politicians from various parties after the closure announcement, including the Arts Minister Heather Humphreys T.D. But they said they had not heard anything since the meeting with public representatives in the Nuremore Hotel in January. At the time Minister Humphreys said she had immediately contacted the office of her Cabinet colleague Richard Bruton and the IDA. But she warned it would be wrong to raise any false hopes for the workers in halting the closure, as the company seemed to have embarked on a cost-saving exercise. Tomorrow (Friday 29th May), one by one, the workers will enter the premises for the last time to receive their redundancy payments. 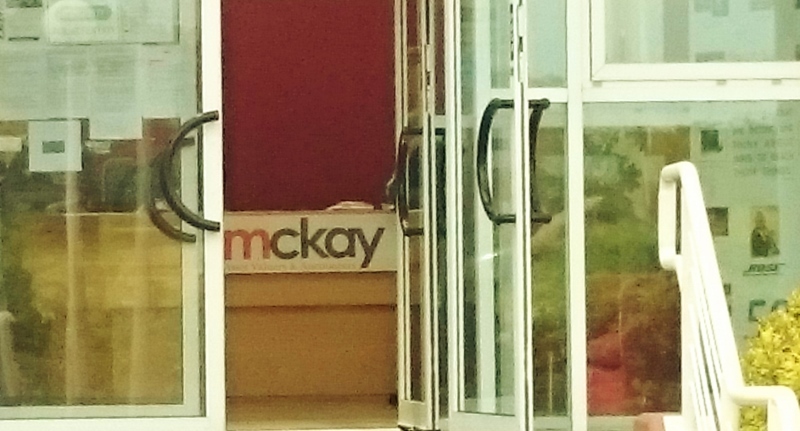 The plant and machinery inside the factory will be sold off by McKay Auctioneers in a fortnight’s time, leaving the building an empty shell. 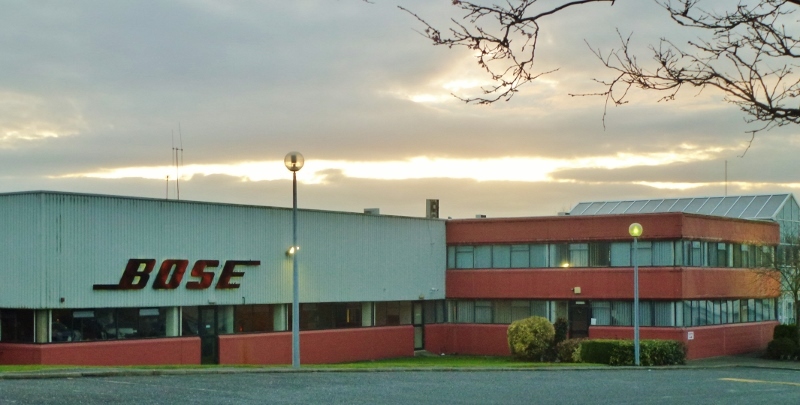 Workers at the Bose factory in Carrickmacross are clocking out for the last time today (Thursday), bringing to an end a proud history of 37 years of manufacturing high quality sound systems. The multinational company unexpectedly announced in January they would be closing the plant in April, with a loss of 140 jobs. Following representations to the management at their headquarters in the USA, the timeline was extended until the end of May. Despite attempts by the IDA and Enterprise Ireland to find a suitable replacement, no new investor has so far been found. The plant and machinery at the factory are due to be auctioned in a fortnight’s time and the building will be left as an empty shell. The site is in private ownership, having been purchased by a consortium of business people fourteen years ago. See story p.7. 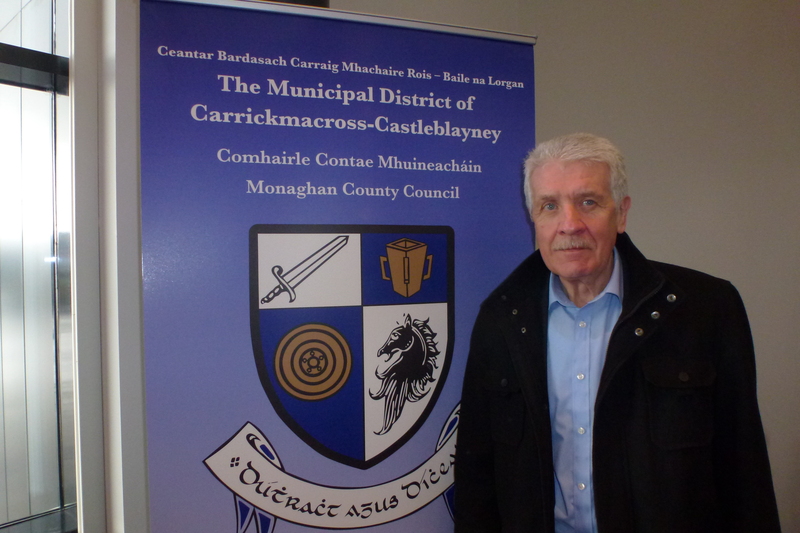 Monaghan Councillors especially Carrickmacross-Castleblayney Municipal District members have been snubbed by the Department of Jobs, according to the County Council Cathaoirleach, Councillor Padraig McNally (Fianna Fáil). 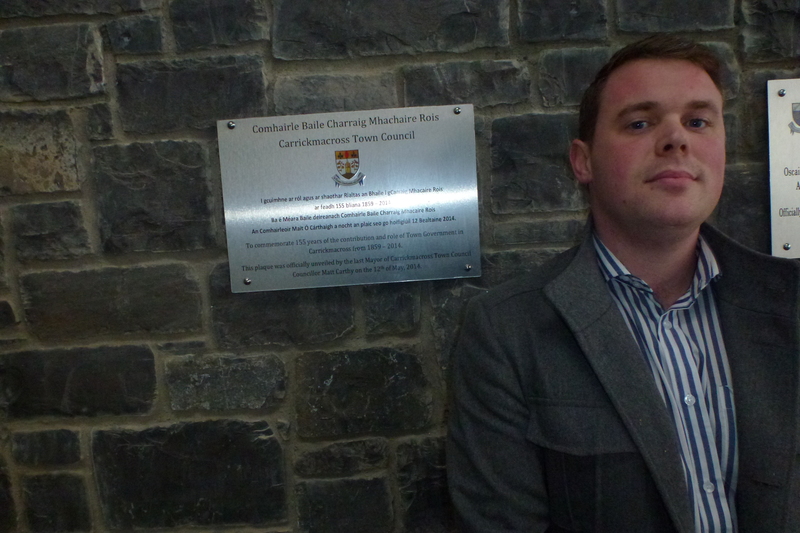 He was addressing the April meeting of the District Council in Carrickmacross on Monday. He expressed his disappointment and frustration that he had not been invited to a regional jobs forum held at the Nuremore Hotel and attended by three government Ministers, including the Jobs Minister Richard Bruton T.D. and Minister for the Arts, Heritage and the Gaeltacht and local T.D., Heather Humphreys. 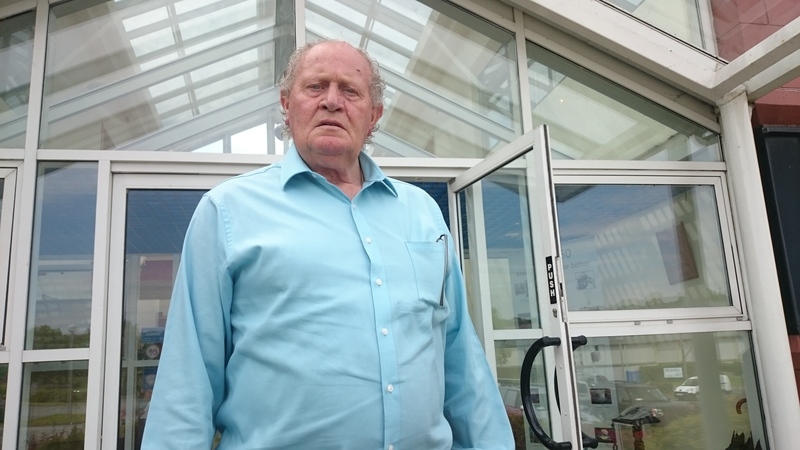 Councillor McNally told the meeting that if there had been a Fine Gael Cathaoirleach of the County Council then that person would have been there, but on this occasion, local representatives had been snubbed. We like to be contacted about such events, he said, and it was very easy to forget that hey were there. He proposed that the Municipal District wrote to the Minister for Jobs, Enterprise and Innovation, Richard Bruton T.D. saying that in future they should invite elected representatives from Carrickmacross. He said there was not one person present at the jobs forum who could report back directly to the workforce at the Bose factory. It is due to close at the end of next month, with the loss of 140 jobs. The Cathaoirleach of the Municipal District, Councillor Jackie Crowe (Sinn Féin) agreed that the elected local representatives had been snubbed. He seconded the motion. He said they had had no notification whatsoever about the meeting. It showed that the organisers had no time for them. He was disappointed that even the County Council Cathaoirleach had not been invited. It was not the first time that they had been snubbed and they should express their anger as a Municipal District. 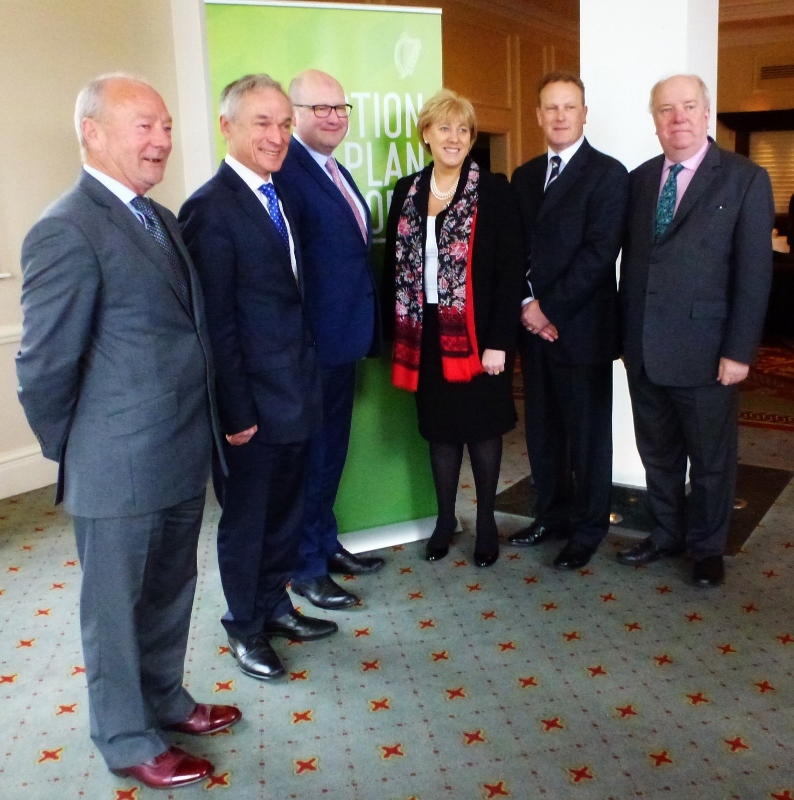 It was agreed by the six Councillors present “That this Council writes to Minister Richard Bruton T.D. expressing our disappointment that neither the Muncipal District chairman or the county chairman were invited to the jobs meeting held in the Nuremore Hotel recently”. 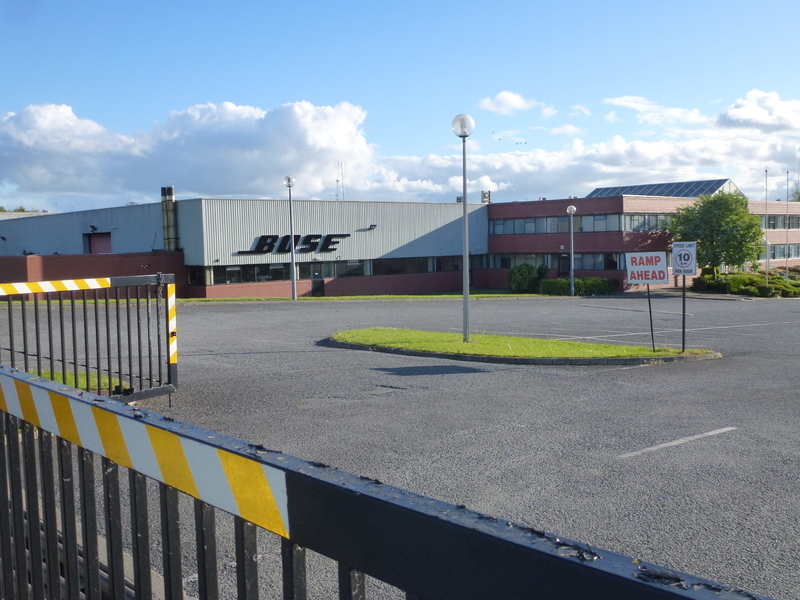 Councillor Colm Carthy (Sinn Féin) said that last month the District had agreed to write to Minister Bruton to request an update on the Bose facility and asking him if he would confirm where he was on organising a replacement for the jobs and employment in the Carrickmacross plant. The Council received a standard letter in reply from a Private Secretary, stating that the correspondence would be brought to the Minister’s attention “at the earliest opportunity”. Councillor Carthy, a former Bose employee, said he was concerned that no elected members had been invited to the jobs meeting held locally. It was a matter of grave concern, as the facility would be closing shortly. He said it had come as a surprise to him that Minister Bruton had visited the area.